When Microsoft took their sponsorship of the Special Olympics to the next level, they asked us as their agency how they could really make a difference. They were already adding their technology and data wizardry to enable real time results recording (never before been possible at the Special Olympics) but also wanted to add some heart to the data hub and get more people involved. 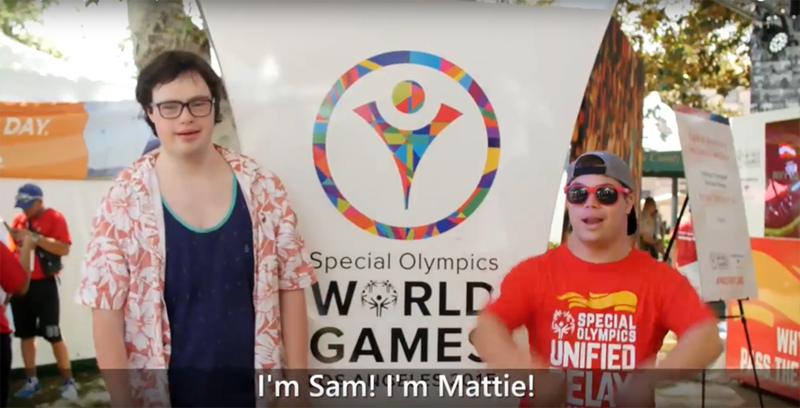 What better than having two amazing spokesdudes reporting live from the events to really change perceptions and represent all that the Special Olympics can be. Super to have been involved in such a great project – it got to Cannes entry but sadly no Lion. We also followed multiple athletes from around the world in the preparation for the games, whilst they were over and sharing results with their supporters back home.